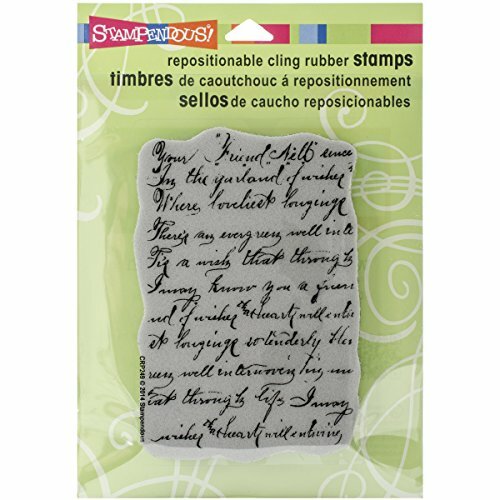 Stampendous-Cling Rubber Stamps. 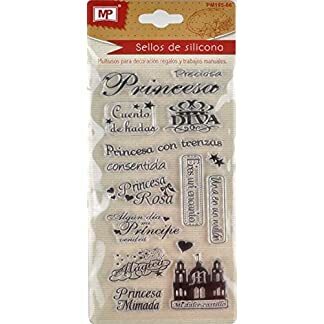 Premium Quality Precision Trimmed Rubber Stamps That Give You A Beautiful Image Every Time! Use With Any Acrylic Block (Sold Separately). Simply Remove The Disposable Acetate Layer Revealing The Vinyl Cling With Printed Image, Press Onto A Block, Align And Stamp! 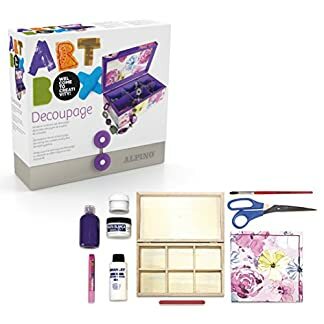 Use Any Ink That Can Be Used With Traditional Wood-Mounted Stamps And Clean With Wood-Mounted Stamp Cleaner. 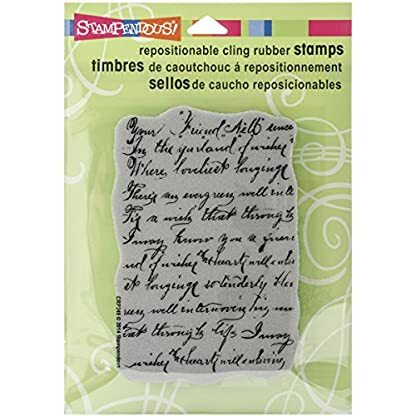 This Package Contains Vintage Note: One Cling Rubber Stamp On One 5-1/2X4-1/2 Inch Backing Sheet. Made In Usa. 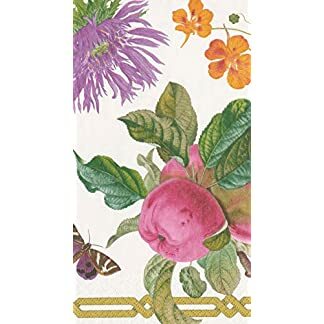 Estás viendo: Timbro Stampendous Cling 4,5″ X5.5″ nota foglio-Vintage Amazon.es Price: 10,35€ (as of 27/03/2019 21:59 PST- Details) & FREE Shipping.